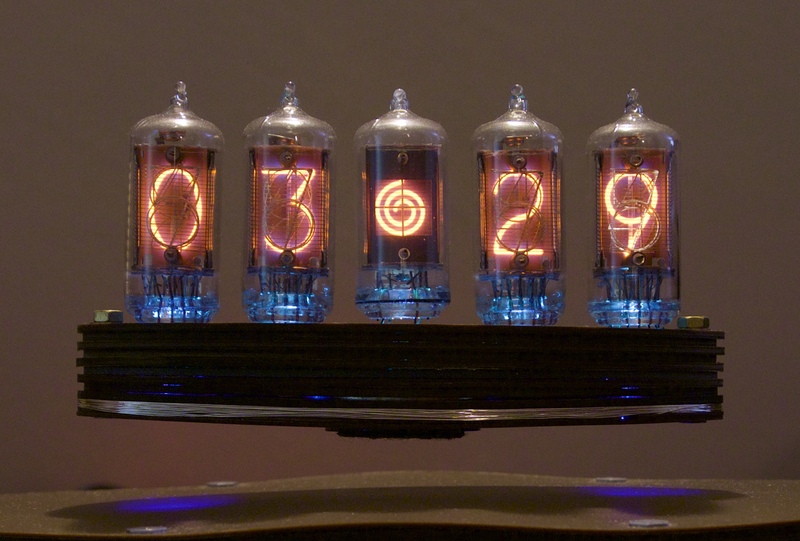 This is the Time Flies clock from lasermad.com, which I assembled as a kit – I wanted to use different tubes than the default IN-14. 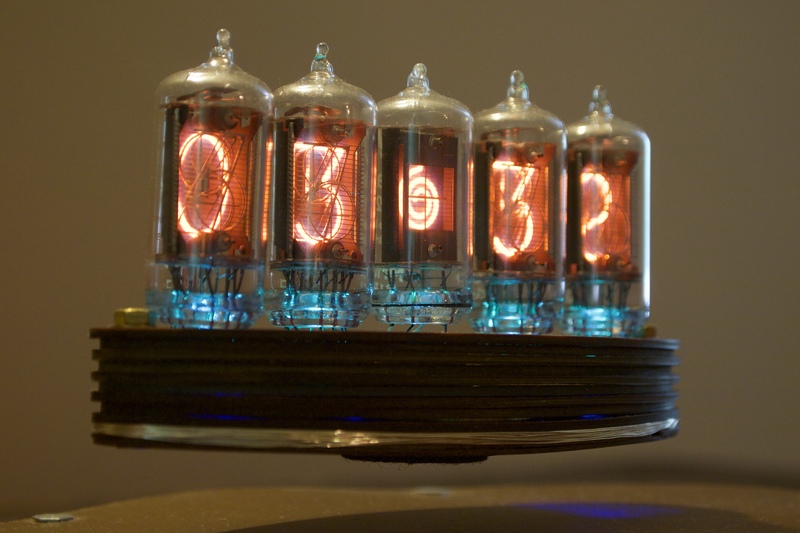 I used Mullard ZM1175 tubes as the digits and a ZM1262 as the seconds indicator in the middle. 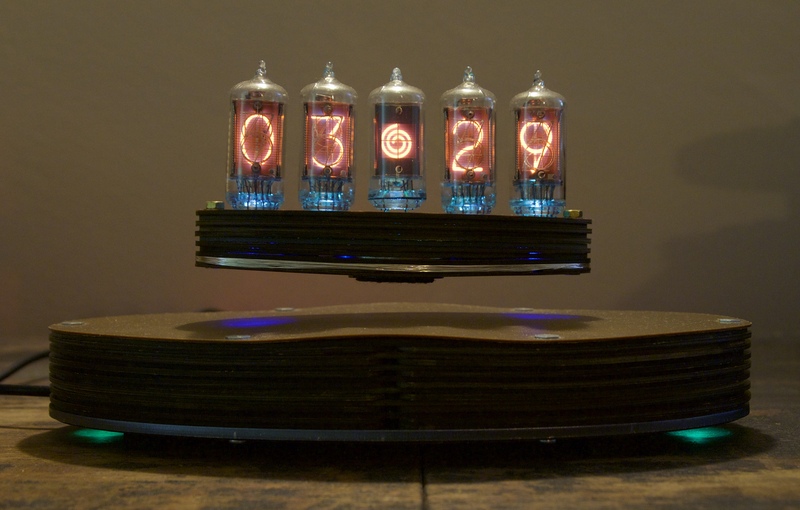 This is an amazing clock, packed with many wonderful technical features, the primary one, of course, being that the clock just floats in mid-air. 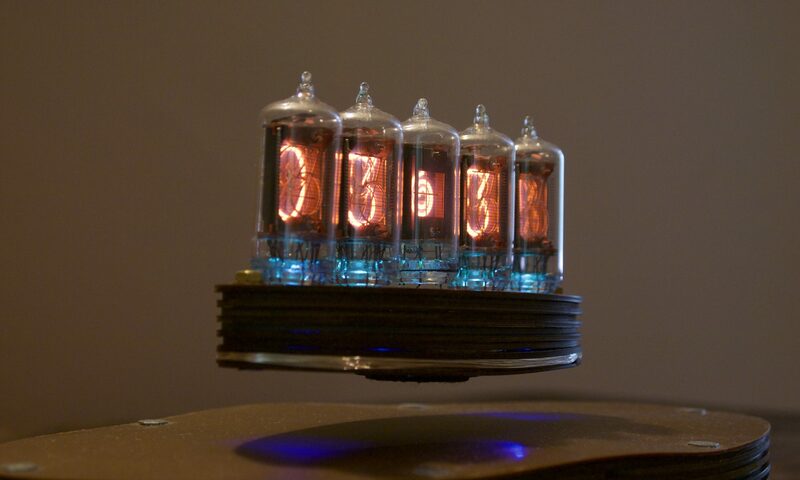 The power to the clock module is provided by an inductance coil, which just blows my mind. The features don’t stop there, there is a GPS unit to synchronize the time, and control unit with built-in movement sensor, bluetooth and battery backup. The levitation itself is provided by a large base unit which also has underlighting and a hidden touch sensor that can be used to control the features of the clock. The clock can also be controlled by sending command strings using bluetooth serial mode. This was a challenge to build, but a lot of fun. It took me about 1 week between Christmas and the New Year. The clock unit is all surface mount components and you have to wind the induction coils in the base unit and the clock unit. In addition, the large permanent magnet in the base unit does a good job of attracting and magnetizing most tools. I’m grateful that I have non-magnetic tweezers. In the pictures, the silvery band around the clock unit is the receiving induction coil (which I wound!). And you can see a protrusion from the bottom of it, which is the permanent magnet that the base unit is levitating.